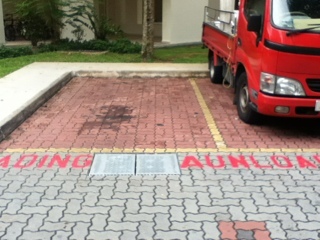 That is the exact thing I saw stenciled across a parking lot which, mind you sits just across the Pasir Ris Punggol town council office here in sengkang. Don't they ever learn that foreign talents can't spell or write in English language especially those from the mid Asia continent?? I leave you to your comments.